Woman’s Day Magazine – $4.99 a Year! Perfect Mother’s Day gift or Teacher Appreciation Gift, right here my friends! I’ve always loved Woman’s Day magazine, not only because they’ve featured $5 Dinners a number of times, but also because they have great content and great recipes in their magazine too! 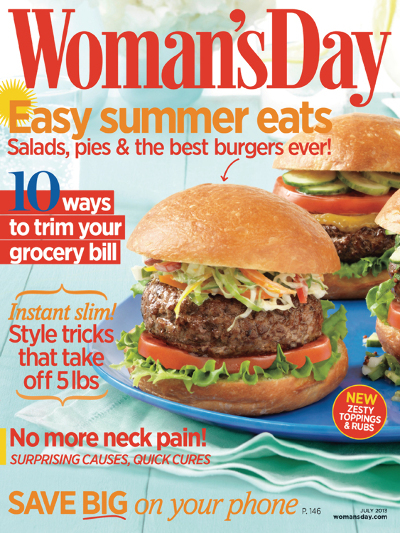 Today only, subscribe to Woman’s Day Magazine for only $4.99 per year (75% off)! You can order up to 2 years at this price! Get 1 year for $4.99. Get 2 years for $9.98. Just pick how many years, then enter coupon code 5DOLLARDINNERS at checkout to take advantage of this offer! This offer expires at tonight at 11:59 PM EST.